Your wedding band is just as important as that sparkly engagement ring on your finger. Here's exactly how to pick a wedding band that complements that rock. 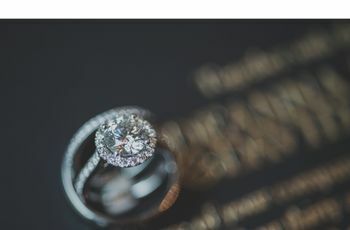 Your engagement ring is the center of attention leading up to your big day, but knowing how to pick a wedding band that complements the engagement ring is just as important when it comes to your wedding jewelry. After all, the wedding band signifies your transition from being engaged to getting married, and like your engagement ring, it’s something you’ll be wearing for the rest of your life. You have the engagement ring of your dreams — now it’s time to find the perfect wedding band! 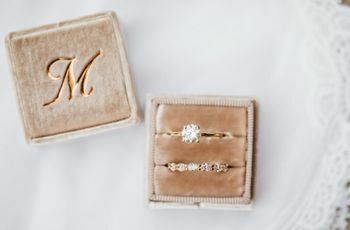 Here’s exactly how to pick a wedding band that complements the engagement ring. The first step when deciding how to pick a wedding band is knowing the different types of engagement ring settings. 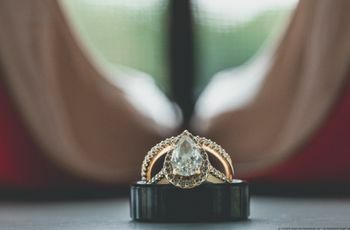 The shape of the center stone, the size, and whether or not the ring has a halo all affect the types of wedding bands that will look good with your engagement ring. Brush up on these engagement ring basics to find out how to classify yours. 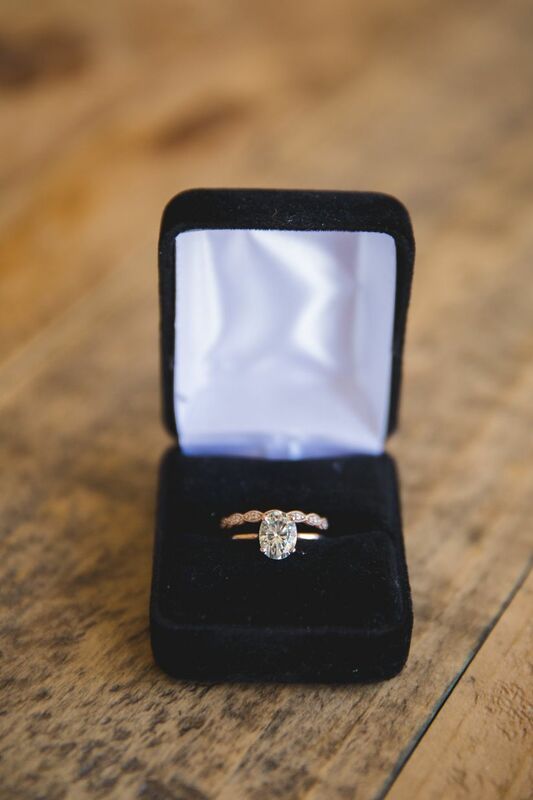 You'll also need to ask yourself if you want a wedding band that sits flush next to your engagement ring without a gap, or if it’s okay to have a little space between the two. Some of this will depend on the setting — for example, engagement rings with high-profile settings, like cathedral and Tiffany, often have space for your wedding band to sit "under" the diamond of your engagement ring, leaving no gap. 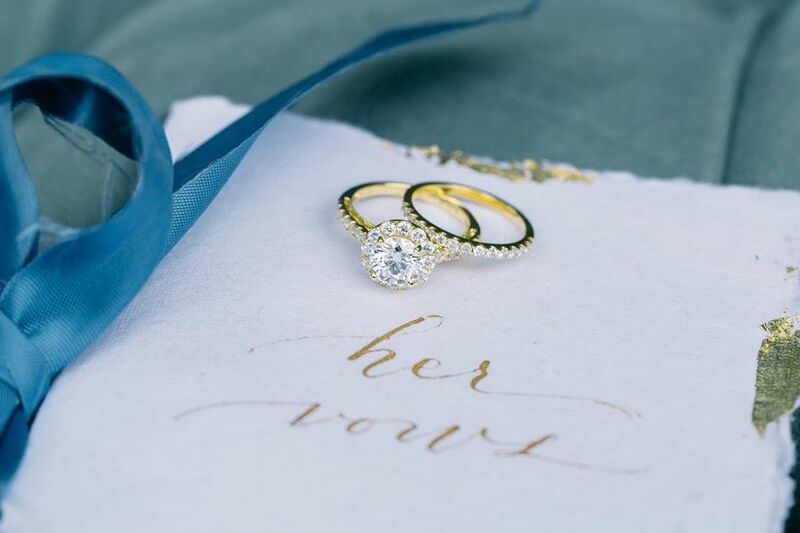 Your wedding jeweler can suggest the best style(s) based on your engagement ring and personal preferences. Next, it's time to choose which color wedding band you want. 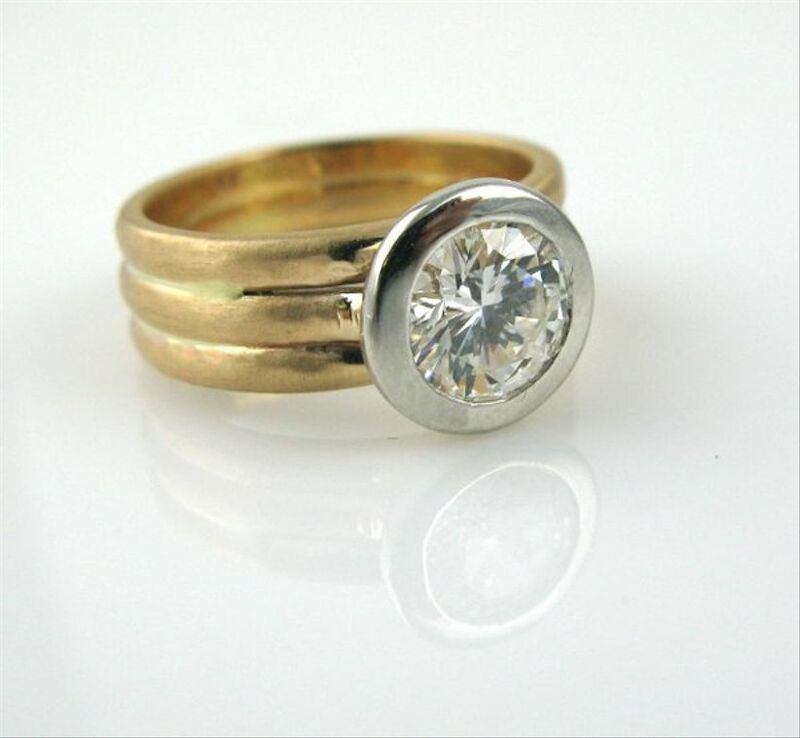 Traditionally, the wedding band is made using the same type of metal as the engagement ring (yellow gold engagement ring = yellow gold wedding band, platinum engagement ring = platinum wedding band, etc. ), but there’s nothing set in stone that says the metals have to match. If you like wearing both gold and silver jewelry, don't feel like you have to choose just one for your engagement ring and wedding band. By pairing the two metals together, you'll create a matching engagement and wedding band set that's totally your own. 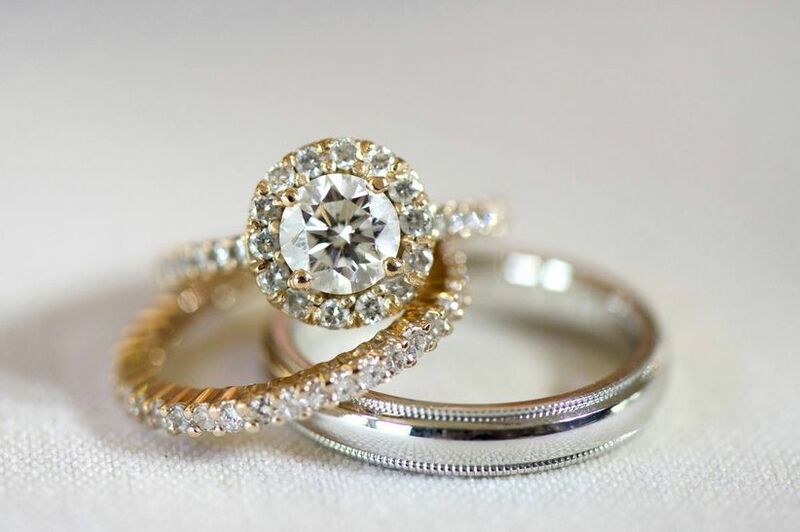 If you're wondering how to pick a wedding band that complements your engagement ring, remember that there's no right or wrong — the pairing should be whatever is most beautiful to you. But if you're feeing stuck, there are some tried-and-true pairings that are known to make a perfect match. We're sharing some of our favorite wedding band ideas below. A curved wedding band is the best wedding band for a solitaire engagement ring. 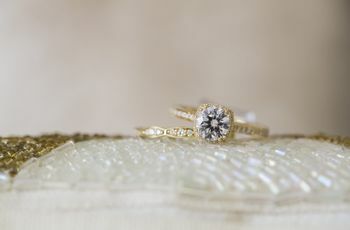 This style fits around the engagement ring, framing it and making it appear even larger by adding sparkle and width. A notched wedding band is very similar — instead of curving around the outside edge of your engagement ring, the band has a small dip in the center that allows it to sit flush under the center stone. For maximum sparkle, add a curved wedding band on both sides of the engagement ring for a show-stopping trio. 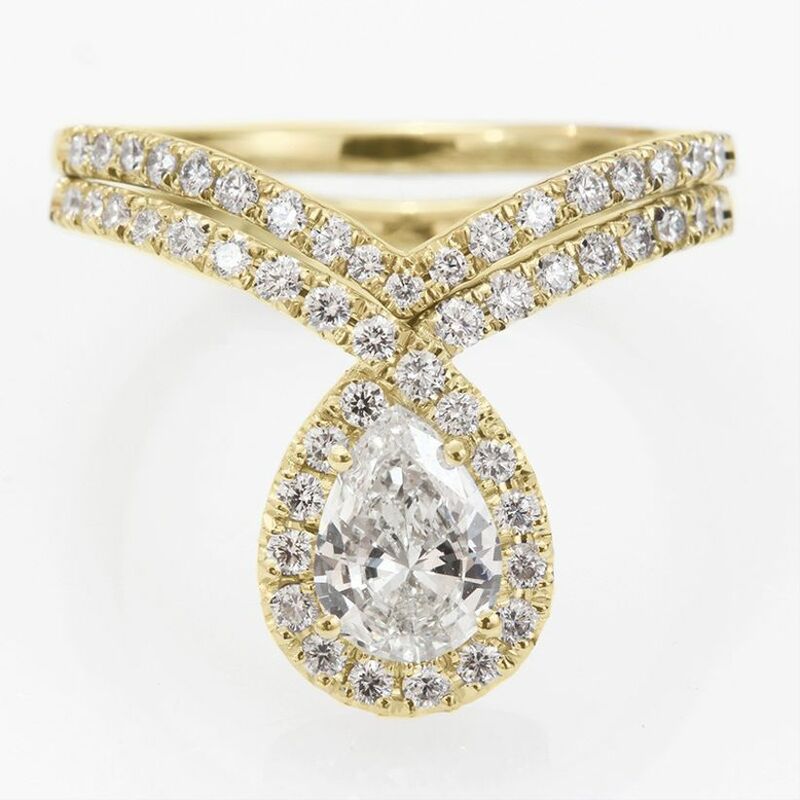 Marquise and pear-cut stones are guaranteed conversation starters when it comes to engagement rings. A chevron wedding band, which is a pointed, v-shaped band, mimics the fashion-forward feel of these styles. Wear this wedding band for pear engagement rings in a nesting style like the one above, or turn it around to have the "V" facing outward. 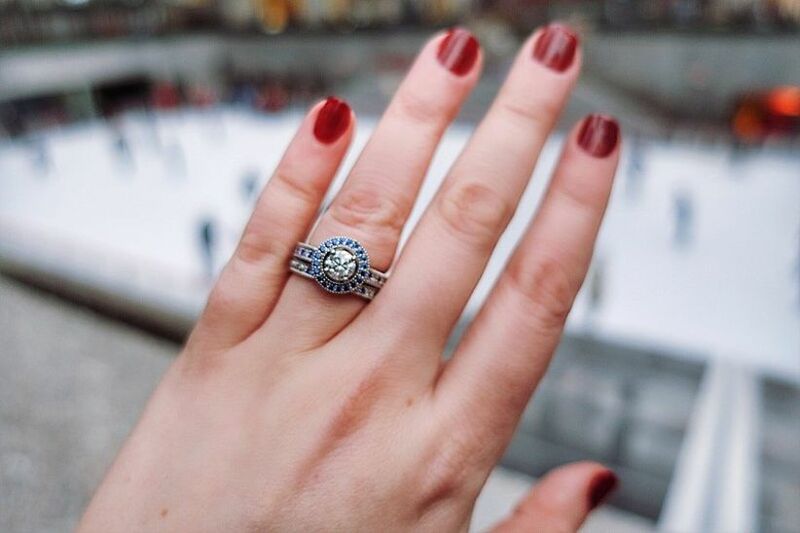 A pavé style is one of our favorite ways to pair your halo engagement ring with a wedding band. This option is great if you want to achieve maximum sparkle status. 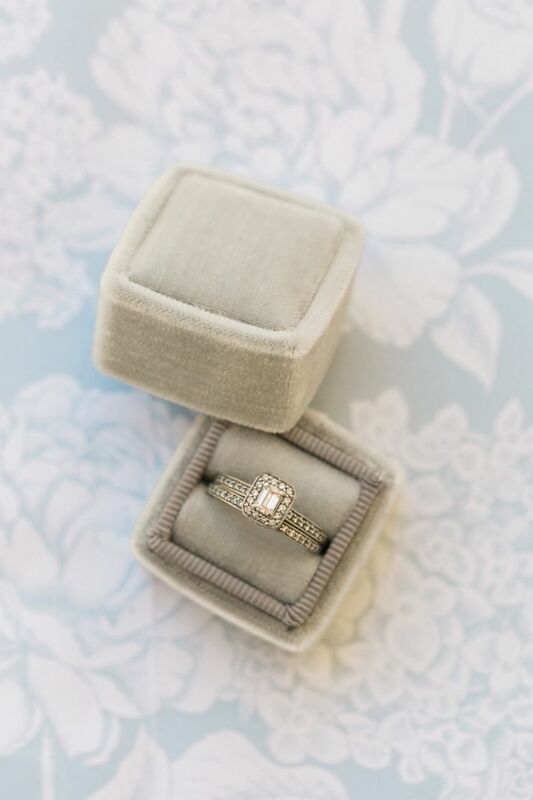 If you’re feeling stuck in terms of how to pick a wedding band, pavé styles are a timeless choice and are generally flattering for most ring types. We love a twisted wedding band for oval engagement rings because this style enhances the trendy vibe of the diamond shape. Pair your oval engagement ring with one wedding band, or take a cue from Blake Lively’s stylebook and create a custom ring stack with multiple wedding bands for a non-traditional look. 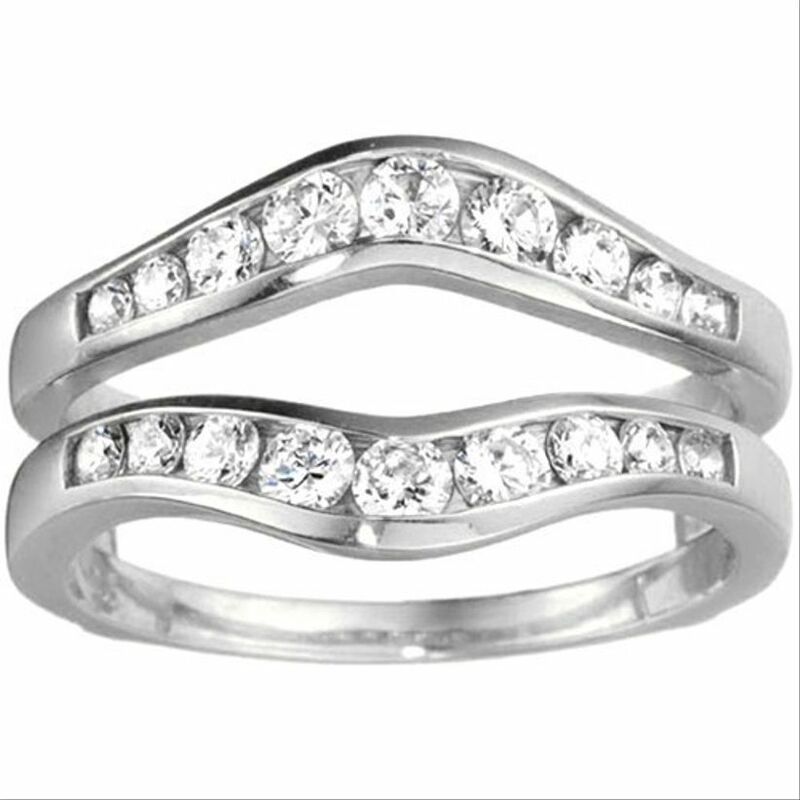 Channel-set wedding bands will create a sophisticated matching pair if your engagement ring also has a channel setting. For engagement rings with plain bands, channel-set wedding bands are a practical and subtle way to add a bit more bling to your set. A flat, unembellished wedding band is an ideal match for an engagement ring with a bezel setting. 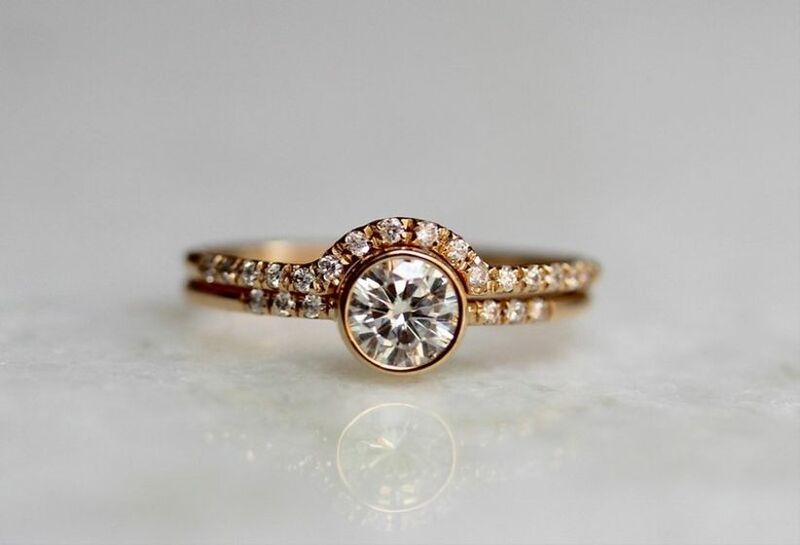 This type of band should easily sit flush under the raised stone of the engagement ring, making it a great option for active brides or anyone who wants a minimal look. Wedding bands with colored stones work best with colored engagement rings. For the most cohesive look, choose a wedding band that uses the same type and color of stones found in your engagement ring. Glam brides, this style is for you. 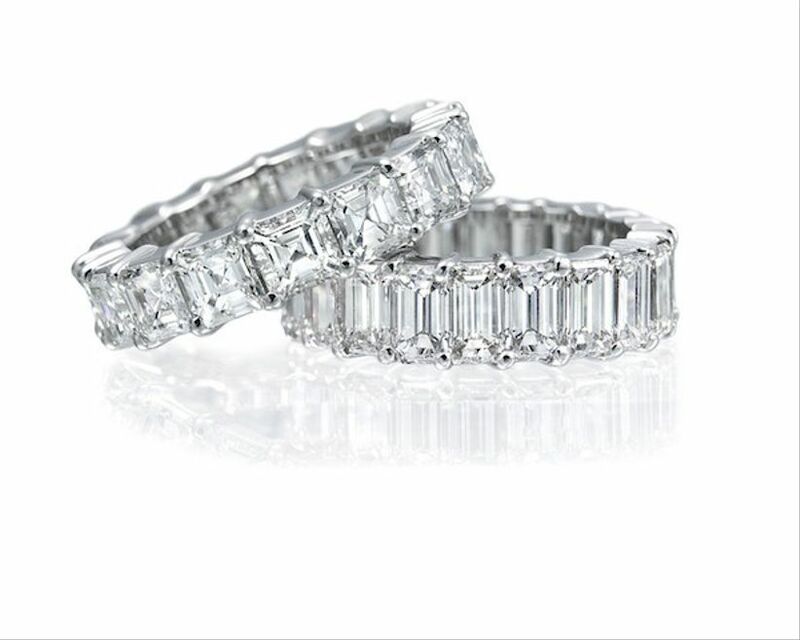 An eternity wedding band is oh-so opulent, which is why it's the best wedding band for emerald cut engagement rings. An eternity band is made of stones that go all the way around the band (it's named the 'eternity' band because there is no beginning or end) and can feature emerald, princess, and asscher cuts. Choose a band with baguettes that are the same shape as the main stone on your engagement ring. Ring enhancers (sometimes called ring wraps and ring guards) create the illusion that you’re wearing two wedding bands, one on both sides of your engagement ring. In reality, this style is one piece, with an opening in the middle that fits around your engagement ring like a puzzle piece. Many jewelers offer enhancers with engagement rings as a wedding set, and ring enhancers can be found for all different types of cuts and settings. 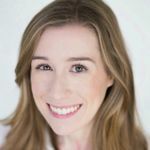 Enhancers tend to look best when worn with an engagement ring at all times, so if you anticipate wanting to wear just a wedding band for certain activities (like these moments), this style may not be the best option for you.